We actually created and mastered our budget years before we had our daughter. 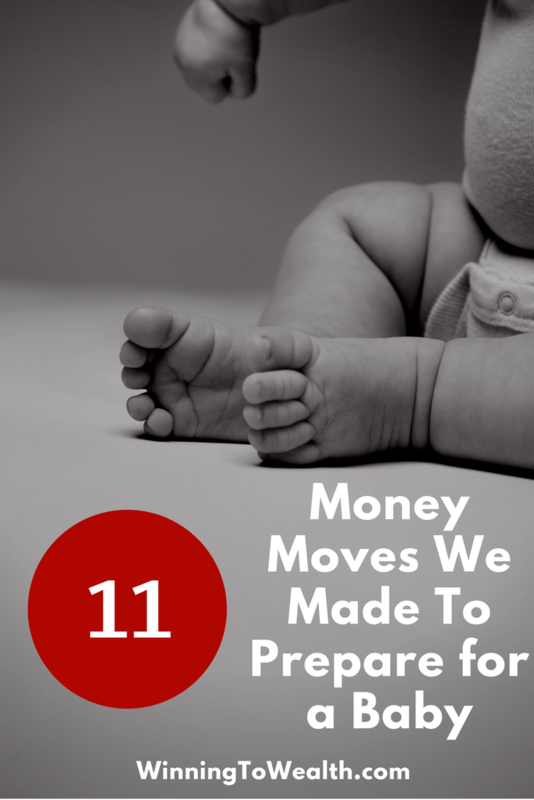 However, we took a long look at our budget as we attempted to prepare for a baby to see just where we could make changes to start saving up. I actually jumped a month ahead on EveryDollar one time to play with the numbers a bit and see how we could afford a baby. We knew exactly what adjustments we would make and what luxuries we could get away with to accommodate a newborn. 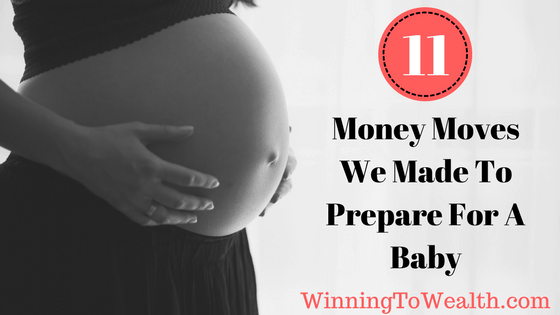 Because of this preparation, we knew we would still be in a good place financially during and after pregnancy. I’m not sure if you’ve done the math yet, but paying off $61,000 in 16 months meant that we were sending an average of $3,812.50 per month to our creditors. That’s a lot of cheddar going out just to get rid of our past mistakes instead of helping us prepare for a baby. 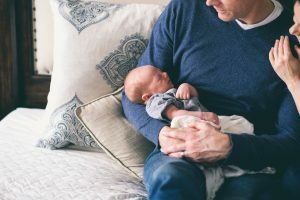 Having that money in our budget allowed us to save money beforehand and even do cool stuff like hire two of the best photographers in our area for maternity, birth, and newborn photos. We’ve been able to save money for big purchases and even prepare for upcoming expenses like daycare due to this newfound cash-flow. I’m only three weeks in and I already see that raising another human comes with a lot of unexpected stuff. We had a few extra nights in the hospital and unexpected trips to the ER within the first week, and I’m sure that as she grows more unexpected stuff will come up. 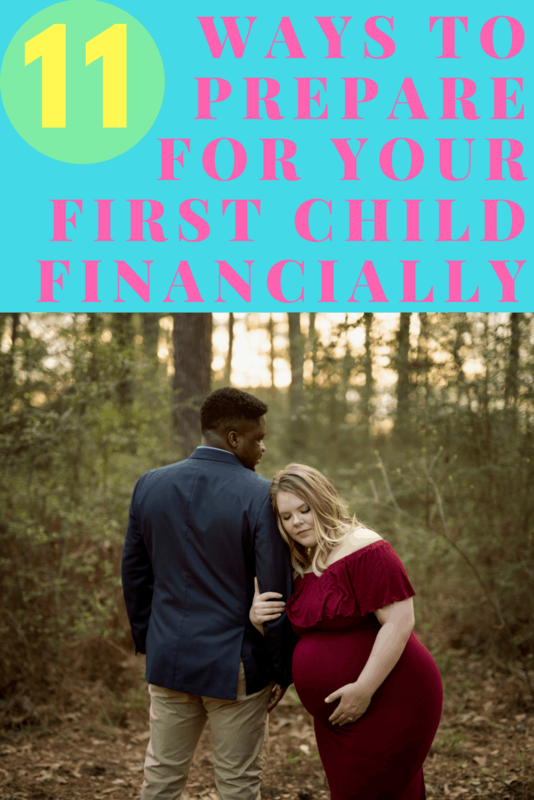 I typically recommend 1 month of expenses until you’re debt-free, however, if you’re currently expecting or even trying to start a family, I would save as much as possible to be prepared. 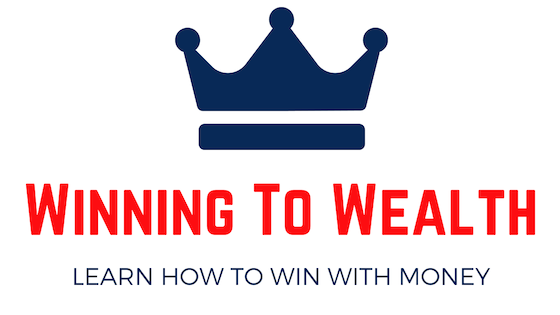 We currently have 6 months of necessary expenses saved in a Capital One 360 Money Market account because, at the time of this writing, it paid the highest interest rate we could find. 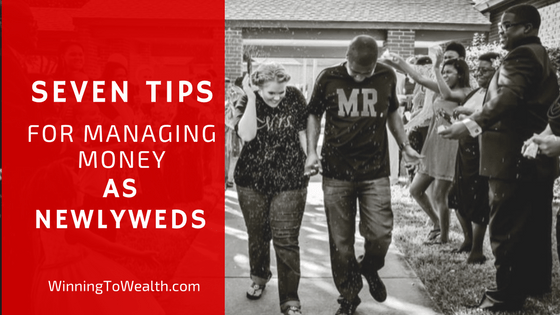 If you’re looking for a place to house your emergency fund, I highly recommend them. You can sign up for your own account by clicking here. 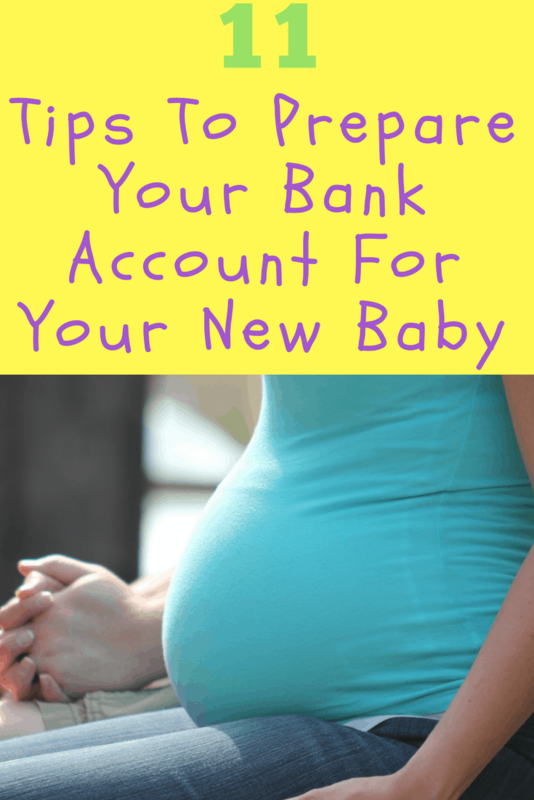 This is probably the most important thing on this list when it comes to preparing for a baby. We knew we would be trying for a kid in 2017, so, during our 2016 open enrollment period, we made our selections with that in mind. You should learn what your options are as it relates to your deductible, co-pays, co-insurance, and in-network/out-of-network providers as soon as you can. We even made sure we had proper disability coverage to maximize our earnings while Taylor was away from work. This gave us peace of mind and somewhat of an expectation as to what we would be responsible for. Also, depending upon the type of coverage you have, contributing to an HSA or FSA can help you save money by allowing you to contribute to that account with pre-tax dollars. We just received our bill from the hospital, and the total cost before insurance for delivery alone was over $16,000. Our insurance is going to cover the entire thing which is phenomenal. Calling your insurance provider and asking questions about your coverage once you either find out you’re expecting or plan to become pregnant is one of the best things you can do financially. A fantastic resource is this list of what to expect and what questions to ask regarding pregnancy and delivery from NerdWallet. A big part of our budget is sinking funds. I made a video that explains sinking funds and how we use them, but essentially, they are a way to save money for purchases you know are coming in the future. You can watch that video by clicking here. One of our sinking funds was definitely maternity clothes. We didn’t know when Taylor would need them, but we knew the day was coming, so we set a little bit of money aside every single month to cover any clothing items she may have needed. The beauty of this was that she never even had to tell me what she was buying or feel the need to hide purchases from me like some spouses do. The money was already there so when she needed something, she could just go buy it without any guilt or financial concern. Yes they are my friend! And what’s funny is I’m the one who had them most of the time! That’s right! We made grocery store runs for sweet potato pie for me…the one NOT carrying the baby. Also, Chick-Fil-A was happening on the regular for lunch. Apparently sympathy pregnancy is a real thing and I had no clue until it happened. Also, during the last 5-6 weeks of the pregnancy, I put in a lot of extra time at work getting ahead and Taylor wasn’t really feeling the whole cooking thing, so we ate out a lot more. It was nothing too crazy as I think we went from spending 5% of our income on food to 8%. The difference between now and 4 years ago though is that this was intentional spending that was planned for. Since Alison arrived, however, a lot of our awesome friends and family have brought meals by so we’re actually coming in a little lower than our normal rate. There is absolutely no shame in second hand items. Our community had a garage sale and not only did we make some new friends, but we found some great deals. For example, we bought a Boppy pillow for only $3. The only thing we had to do was buy a cover for the pillow which cost us a whole $10. A Boppy pillow can cost up to $39.99, so this was definitely a great bargain for something we already planned to purchase. Also, there are so many second-hand shops that have amazing baby clothes and other items that I highly recommend buying used items for things you feel comfortable with. I’ll admit, we got a little excited a few months in and bought a few clothing items we really liked. However, we did a really good job of being patient and waiting until after our baby shower to grab a lot of stuff. We were given plenty of gift cards to fill in what was left. Our friends and family blessed us with clothes, diapers and wipes, a pack & play, baby monitor, a swing, and so much more. There’s no doubt in my mind that we were able to save over $1,000 as a result of their generosity. There was a small stretch of time that Taylor really got into couponing for diapers and wipes. She actually got pretty good at it and saved well over 50% on a consistent basis. 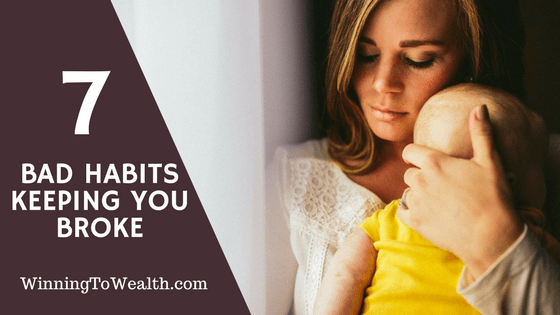 If you have the ability (and energy), shopping for major deals can save you a lot of money while you prepare for a baby. Especially on items you’re already planning to purchase. Just make sure if you’re stocking up on diapers, you’re grabbing a variety of sizes. Alison’s nursery used to be a full-blown office. I had a desk in there and on the other side of the room is the space I use to record Youtube videos. Once we started planning the nursery, we knew we had to make some changes. I needed a desk somewhere in our apartment for work, however, we also needed a space for our daughter. The thing we didn’t need was our dining room table. It was a very nice table that I bought on Craigslist right before we got married for only $100. The problem was we didn’t eat there very often. So I sold the table for $150 on OfferUp. Yes that’s right- I made a $50 profit on a table we had for 4 years. We then used that money to buy baby stuff that we needed so now she has her nursery, our old dining room is an office, and there’s still space to record YouTube videos when she isn’t asleep. Everybody wins. When we were planning to have a baby, one of the things we hoped for was to have a baby born in April or May. With Taylor being a teacher, this would allow her to deliver the baby and not have to return to work for 3-4 months due to summer break. Thank goodness she came in April like we hoped because daycare is expensive! We started an “Alison” fund in our budget a few months before she was born and started putting a few hundred bucks in there each month. Now that she’s here, we still contribute to this fund which will have a few months worth of daycare tuition in it by the time she goes later this year. I often hear parents say they can’t get ahead financially because of their kids, and I never wanted that to be us. 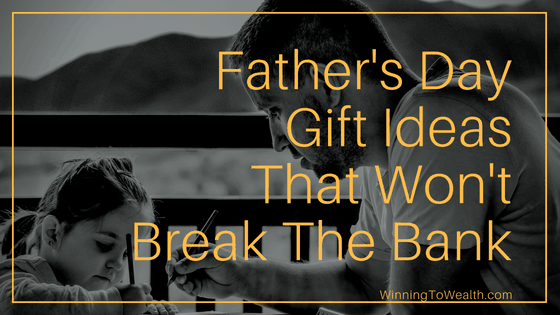 We also have big goals like retiring in our 40’s, and we didn’t want a baby to be the reason we didn’t accomplish our goals as a couple so we prepared as well as we could for her arrival. Do you have children? 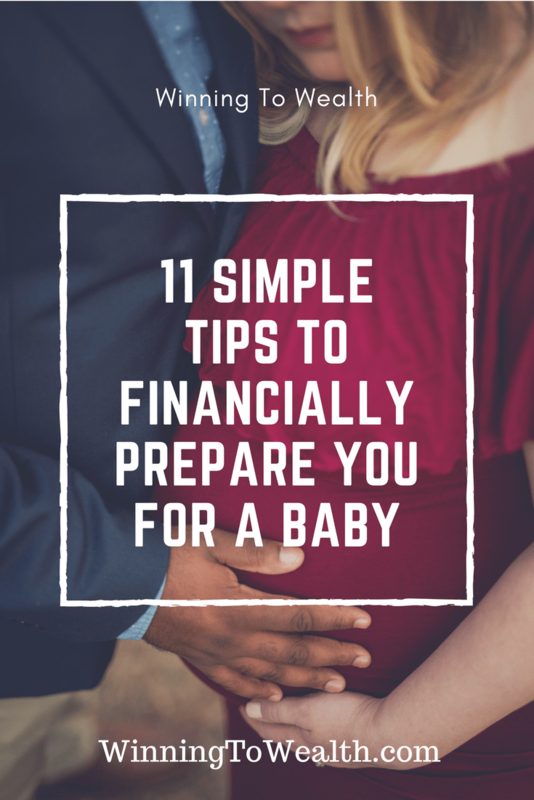 If so, let us know what steps you took to prepare for a baby financially in the comments below.